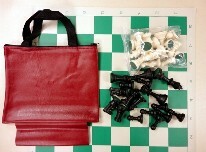 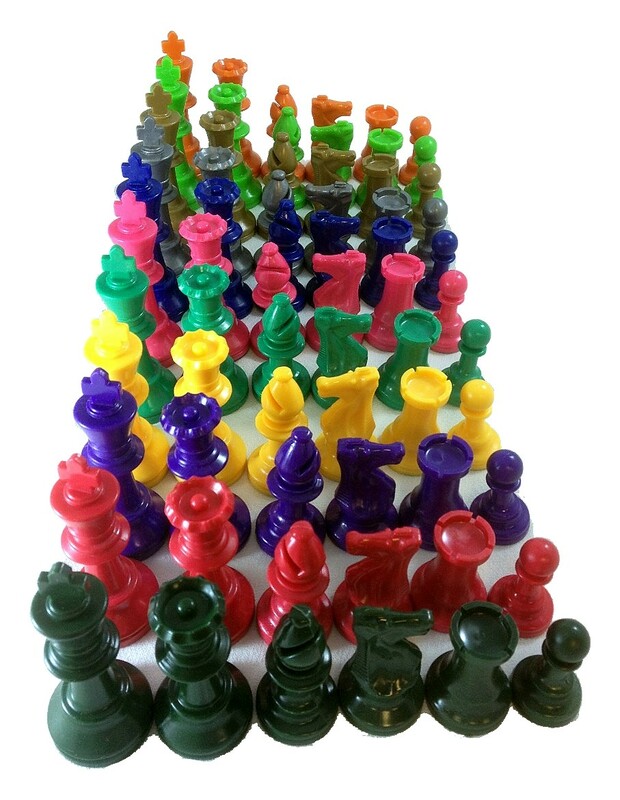 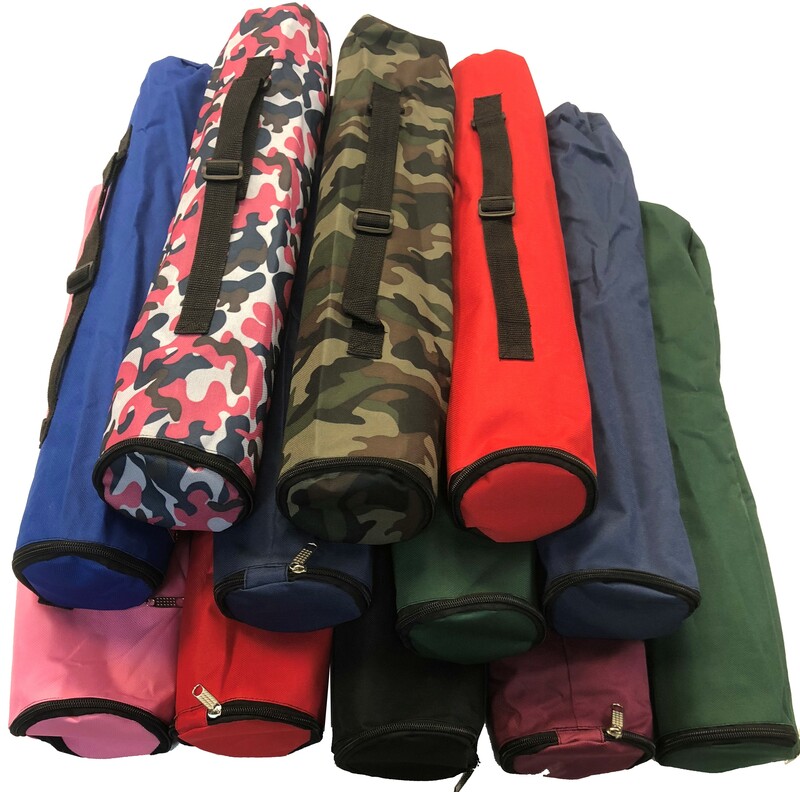 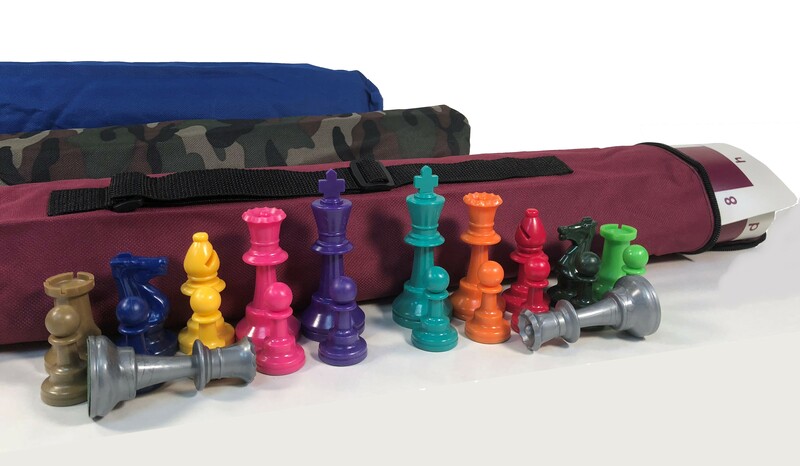 COLOR PIECES Quiver COMBO: Bag, Board & Colored Chess Pieces "
Color Pieces Quiver COMBO: Includes Quiver Chess Bag, Vinyl Chess Board & 3 3/4" King Plastic Colored Tournament Chess Pieces. 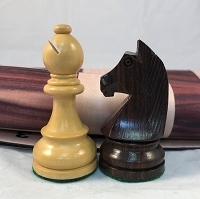 Quiver: 21" Long by 3 3/4" Diameter. 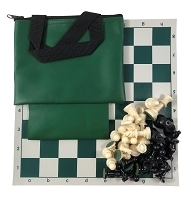 Fits included 2 1/4" Square Vinyl Board and 3 3/4" King Chess Pieces.